D-Day landings, land operations. Members of the US Army's 1st Battalion, 355th Engineers, clearing a path through wrecked streets in Saint-Lo, Normandy, France, so that traffic could move by road from Omaha Beach following the D-Day landings. The D-Day landings of 6 June 1944 successfully liberated the Normandy coast of Nazi-occupied France, contributing to the Allied victory in World War II. 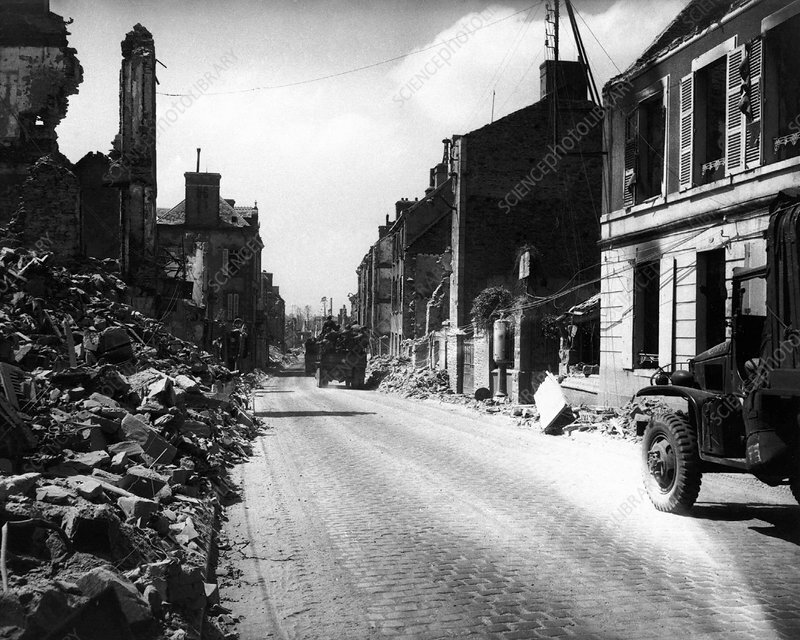 At a strategic crossroads, the town of Saint-Lo was almost completely destroyed in the Battle of Normandy as Allied and German troops fought for control of the area.